In an ideal world, all iPhone apps would be absolutely amazing. In reality, some are laughable while others are positively invaluable. To learn whether an app is a star or a dud before opening up your digital wallet to pay for it, you can read in-depth reviews from several of the top iPhone sites on the Internet. While the reviews posted directly on the iTunes App Store by fellow iPhone owners can be useful, turning to a professional independent review can sometimes provide even more insight. The following websites offer reviews of iPhone apps that can help you narrow down your selections to the best of the best. Most of these reviews are written in blog form, so they are easy to digest, and they tend to focus on the newest apps available right when they come out. AppVee focuses on providing video reviews for a wide range of iPhone apps. The apps are each organized into different categories, and they are provided with an overall rating of up to five. The video reviews are also accompanied by relatively short write-ups. 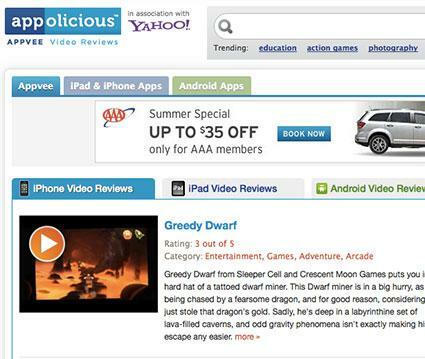 For more reviews, AppVee users are encouraged to visit sister site Appolicious, where more written app reviews are provided, which also include lists of recommendations and a section for hot apps, the latter of which is oftentimes populated by many top games. AppAdvice has a number of sections on the site, like AppLists and AppGuides, but the AppReviews section is particularly robust. Once again, each app is rated on a scale of up to five stars, and the rating is accompanied by a fairly extensive written review that typically discusses price, visuals and overall value. Several screenshots are usually included at the end of the review to provide users with a better sense of what to expect. 148Apps gets its namesake from the fact that it is best known for creating not top 10 or even top 25 lists, but rather top 148 lists for such subjects as the top 148 free iPhone games. Even so, there are also many extensive reviews written for a range of iPhone apps across a variety of app types. The written reviews are accompanied by multiple screenshots and an overall rating of up to five stars, as well as ratings in particular areas. Games, for example, get individual ratings for graphics/sound, controls, gameplay and replay value. Other apps may get individual ratings for iOS integration, user interface and re-use value. AppSpy already has a focus on apps for Apple's iOS platform, but it is useful that you can filter the reviews so that only iPhone apps (or only iPad apps) are shown. From the main list of reviews, a clear, color-coded rating of up to five is given, as well as a short write-up. 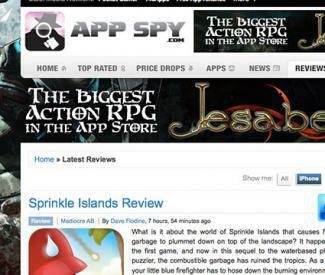 The main focus with AppSpy, however, is with video reviews for each of the iPhone apps. The sidebar also contains a handy widget that highlights some of the latest price drops on popular apps, as well as their rating of up to five, as given by AppSpy. Touch Arcade is a highly respected source of reviews of iPhone and iPad games. The reviews themselves are very well written and include multiple screenshots and an overall TouchArcade rating of up to five stars, as well as a direct link to the App Store with pricing information. Recent reviews are listed in the far right sidebar, as well as extensive categories for looking through the over 2,000 reviews posted on the site to date. For instance, it is possible to see only games that have received a five-star rating, and there have been 125 that have earned that honor to date. Looking at reviews of iPhone apps might just save you some money. 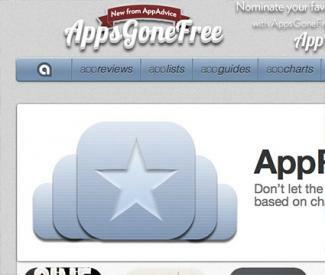 Even if an app is free, you'll learn if you should look for alternative apps that do the same thing, but do it better. This can also save you a bit of time and trouble.